Generally, for as long as I’ve had mp3 players, I’ve had iPods. Which may be a questionable decision in itself (the only non-iPod I’ve owned was a 2GB Samsung model to tide me over when my second-generation Mini experienced an alarming software error which caused its contents to be replaced by Aerosmith’s back catalog), but it’s always been fun replacing the stock earphones with more exciting models. As much as I live and breathe music, I really only use my iPod while walking and as a result, headphones for it have never really factored heavily into my budget. Accordingly, none of the models I’ve purchased has cost over US$30.00. But, surprising as it may be, they have all been rather good. So, in direct contrast to the top-of-the-line speakers featured in my last two articles, here’s a list of my favorite budget headphones that I’ve owned. They may have their flaws, but all of the models listed below have served my purposes, even if only for a few months. Utah-based Skullcandy has always been as much about eye-catching design as performance, and its least expensive earbud [tied with the Chops and Ink’d models] is certainly no exception. Available in a range of slick colour combinations, it produces a crisp, detailed sound with its 11mm speakers, while cancelling out external noise. Cons? Only that the cord is kind of heavy compared to other models on this list, but at 1.3m it’s long enough for them to stay in perfectly fine whilst walking or running. Sick, bro. 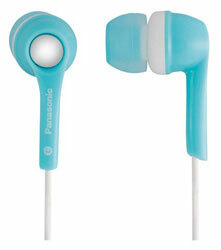 One of Panasonic’s many mid-range earbuds, the RP-HJE200-A initially attracted me because of its color (Tiffany blue) and the interesting variance of textures between the cord (slinky and metallic), the buds themselves [opaque plastic] and the earpads (transparent rubber). I’m not shallow at all, right? At 11.5mm, the speakers are larger than those of the Riot, but the sound isn’t as all-enveloping; even though it’s perfectly adequate, it lacks the Riot’s bass response, which makes it sound slightly tinny in comparison. It also has the shortest and most confusing cord ever, a claustrophobic design riddle which may look cool but causes major annoyance when you’re listening to music on a train and it gets caught on whatever else is on your lap, or when you realize that if you are even of average height you actually have to hold your MP3 player up while walking. But if that doesn’t worry you, it’s still good value for money. Sound quality-wise, Griffin’s TuneBuds are a combination of the Riot and the HJE200-A; heavy bass to rival the Riot, but with a slightly metallic sound to the treble reminiscent of laptop speakers. They don’t fit quite as nicely in the ear as the other two – maybe it’s the thicker earbuds — but the cord is ideal, long, lightweight and perfect for exercise. The TuneBuds Color ($19.99) are sold in five appealing pastel colors, designed to complement the 2007 iPod Nanos, while the standard TuneBuds Mobile ($29.99) come in basic black or white [bonus points for naming the black “Mysterious-Government-Helicopter Black” ]. Unfortunately the TuneBuds have a tendency to, well, die – a pair of TuneBuds Color lasted only a few months in my possession before the left one pegged out completely and the right one needed constant twisting of the jack to produce any sound whatsoever. The Smokin’ Bud is a step up from the Riot in that it has an in-line volume control affixed to the cord, so if you want further control over the volume of whatever jams you’re pumping, all you have to do is slide it one way or the other. Obviously, you’ll still have to adjust the volume on your MP3 player if you want to make it louder overall, but it’s a nice touch. 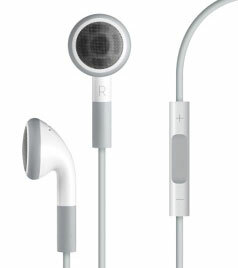 Otherwise, its performance is very similar to that of the Riot, the snug-fitting earbuds also making use of Skullcandy’s noise-elimination technology. And, of course. . .
We all know what these sound like. They’re entirely adequate but feel uncomfortable and ill-fitted inside the ear after the more streamlined shape of the earbuds. They’re also fragile, with my first pair lasting only marginally longer than the TuneBuds before one of the speakers fell out. Like the Smokin Bud, Apple’s current model includes an in-line volume control, but the Bud’s definitely superior in terms of sound quality and durability. As evidenced by the iPod’s popularity among runners, the cord is long and light, and in general [with the exception of the comfort factor] they’re really quite good. But if you’re an iPod owner, have a spare $30 lying around and aren’t entirely satisfied with the sound quality of the stock earphones, looking at other options is definitely recommended. For around $25 you can get Koss Sporta headphones. I use these and find that they preserve the balances that I hear when I do my multi-track mixdowns. The tonal balance is really surprisingly. While, as with any transducer, the timbres of the individual instruments will change, but the fact that, for example, the bass drum and hi-hat still preserve their original balance is quite an achievement, as far as I’m concerned. The bass is good and the treble is very nice too. Nor is the middle missing. These headphones are also reasonably comfortable, and the headband is convertible, in that it can be worn either over the head, or behind the head – very useful for going out in weather that requires a hat. If I could outlaw them, I would, but I do see there are ear bud fans, so I guess I would be met with opposition. Also, is it me or do most people *not* consider ear buds to be true HEAD PHONES? Especially since most do not go over your head, but directly into your ear? I currently have enough brand new ear buds, that came with various audio devices, that I could sell them on Ebay. I WOULD NEVER BUY EAR BUDS OF MY OWN ACCORD. ALL EAR BUDS I HAVE CAME WITH AUDIO DEVICES. The only reason I don’t sell them -even in bulk- is because I hope I can dole them out to friends who may want & need them. So far? No takers. Everyone has different shaped ear canals; so one has the urge to curse the genius who created the ridiculous premise that ear buds could be touted as: ONE SIZE FITS ALL. Sure. As we learned when the first IPODS came out- it just doesn’t work that way. The Ipod ear buds were like sticking a clothing button in your ear! For this reason,somehow it was hard to feel excited over the free ear buds included with every mp3 player I got for myself or gave as gifts. Is it any wonder? Getting back to my point about ear buds vs true HEADPHONES: If I do a search on a retail store( Like Amazon) for headphones- I use exactly that word or the word ” headset”- and I often choose another phrase that is important to me, because I want this feature with my headset: “inline volume control”. I was hoping you were going to cover more than just ear buds in your article. 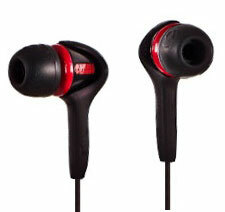 The ear buds biggest plus, is that they are small,thus not bulky to wear or carry around. But what good is that perk, if they hurt? Notice I have not even touched the issue of quality here- just pain. In truth- be it ear buds or true headphones- comfort and quality should be paramount, along with a price that you can afford for both. From buying various brands of headsets and testing them out, I have come to learn there are many in the 12.00 to 25.00 range that do the job, if you are just listening to music on your pc or mp3 player. 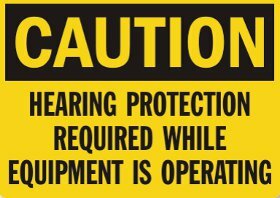 An entirely different set of standards would most likely apply to your headset, if listening to an upscale stereo system or if you are a true audiophile. I wonder how many audiophiles would opt for ear buds on a high end stereo system vs true head phones? Rhetorical question, of course. I think many of the people are assuming that owning earbuds means that one will use them all the time. That is not true for me but I do need something light, small and won’t break (like my Sony headphones did) when travelling. The buds that come with iPods just fall out of my ears. Thus, earbuds. Also I would need a built in mic for making Skype or Google calls. Lastly, because they are only for infrequent use, low price is preferred. I’ve seen Skull Candy Ink’d on sale for $15. 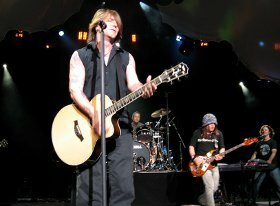 online (in Canada). Does anyone know of a superior product in the same price range? Well canal buds aren’t destructive at all. They’re actually better if anything to regular buds. Because when you get the in-ear buds you don’t have to blast it as much since they’re noise cancelling. Regular ones on the other hand, Need to be blasted to get the full effect of being surrounded by music. But even then the quality is not even close to the in ear buds. Great reviews! I lost a bud for my skull candy headphones. Just the little foam part and to the only place I can find them is on Skull Candy’s website and they’re six bucks on there. After shipping I might as well buy a new pair from Target that comes with the headphones plus extra foam things. However, I would like to upgrade. The Riot looks awesome to me. I wish I could afford the “Smokin Buds” but 30 bucks for a pair of headphones is not going to cut it right now. So thanks for putting me int he right direction! I finally got them. Wow, these Merks are great sound! The spectrum is fine. I wouldn’t mind a bit more treble, but I realize that’s a tall order for canal buds. I’ll bet these $10 canalbuds will be a worthy opponent to any of those listed. I can’t be happier seeing how I went through three sets of crap to finally get the sound that I like. I suppose the final score depends on how long these Merks will last. A low point is for the straight jack versus a sensible angled one. For shame. I hate those cretinous ‘regular’ earbuds because they habitually fall out while running or by even tilting your head the wrong way. Where are your facts to back up your claim about canalbuds being more destructive than earbuds? Everything in moderation isn’t a bad thing albeit any sound device should be used responsibly. Trust me, some people (like my pompous boss) talk at a volume that can likely cause hearing damage over time. Anywho, I just came on here to say to stay away from two earbuds from the (don’t laugh too hard) $10 down category for cheap gym earbuds. 1. Coby Jammerz: The “extra bass” is basically achieved by killing the treble. Terrible muddy sound. 2. 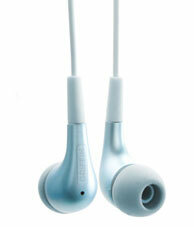 Elecom Ear Drops Series 3. Cheap sound like the Cobys, ‘nough said. I think I’m going to try out the Merkury MI-HP5510 for $10 being that the reviews are quite good. I could buy Skullcandy Inked for $10, but I heard they aren’t that great being that they also kill off the high end to sacrifice for the low end of the sound spectrum. I need a balance for my span of music that goes from Zamfir all the way down to Slayer. Oh, and the wire cords on the Merkury MI-HP5510 are a braided fabric overlay, so you would likely not get the sporadic noise transfer from the wire cords from the typical vinyl variety. I’ll buy the new MI-HP5510 buds in a few days and report back. My major gripe with almost all earbud manufacturers is the use of a straight plug versus the ‘L’ shape because a lot more stress is taken by the jack with a straight plug in it, for obvious reasons. An angled plug also keeps my player more compact. 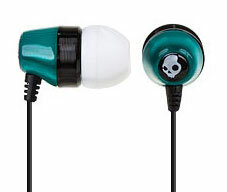 Skullcandy, really? I own the ink’d series. The high frequencies are incredibly harsh and tiring; the lows are just muddy, albeit deep. Nice selection – I like my JVC marshmallow earbuds when using my MP3 player. Less than $10 on Amazon. There are much better earphones under $30 than these, usually from China, like the Hippo VB or Hippo Boom, or the Sound Magic PL30. 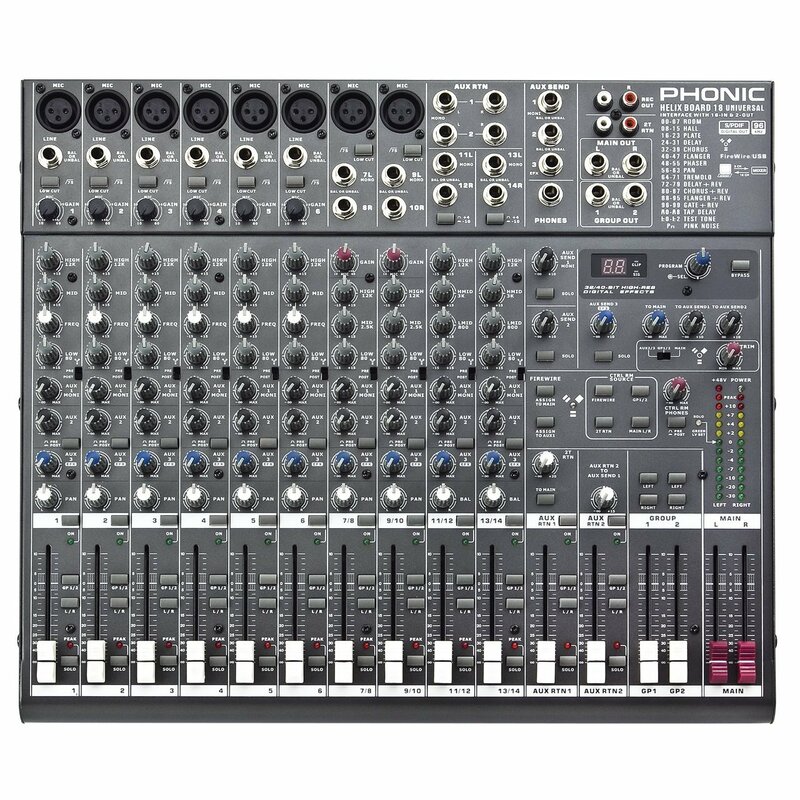 Just bought some SoundMAGIC PL11s and have been blown away by how good they are for the money. 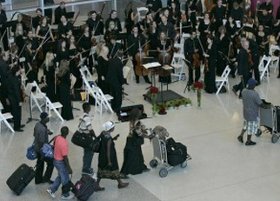 Lots of bass, but plenty of clarity in the trebles. I consider these silicone “noise reducing” earbuds to be a different class of earphone than the standard earbuds, and one I especially don’t like while walking or running. They have the same problem as the true in-ear ‘phones (Etymotics) of cord and body noise, though to a lesser degree. For regular earbuds, I recommend the Yuin PK models, or Sennheiser 5xx. damned things because they actually stay in my ear. you gotta be f**** kidding…. JVC HA-FX34 $20 Pretty decent also! Great Bass and High end. ugh, those apple earbuds are horrible in every possible way. sennheiser do some decent canal earbuds but they’re about double that price… and they feel a bit weird at first. I hear ya (no pun intended) any earphones in the same style as the Apple ones (That don’t totally go in your ear like the Skull Candy ones) are horrible. They rub your ear and cause sores that hurt. Unless you’re willing to wear them for a few weeks and tollerate the pain until your skin roughens up a bit I wouldn’t reccomend buying them… AT ALL.